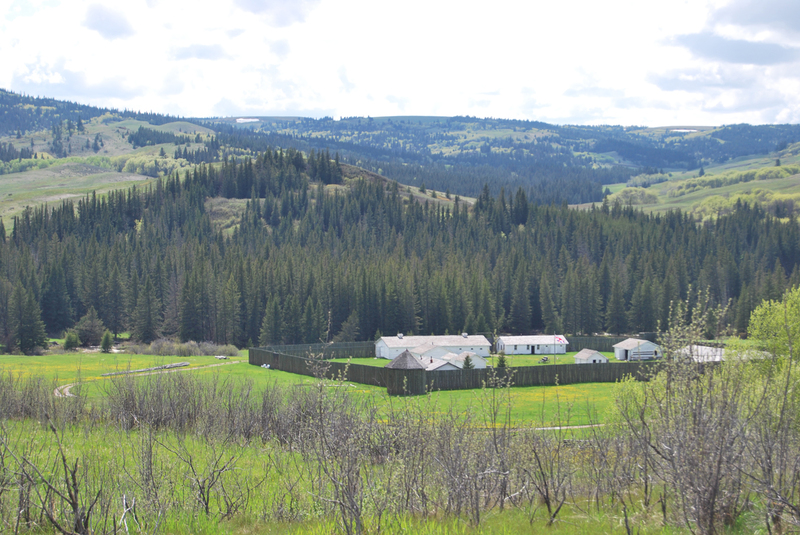 Every Summer when our family is looking to get away from the city and spend quality time together, there is one place we always end up visiting – Fort Walsh in the Cypress Hills. With six boys ranging in age from 3 years old to 12 years old, we need to find activities that will meet several age groups at once. 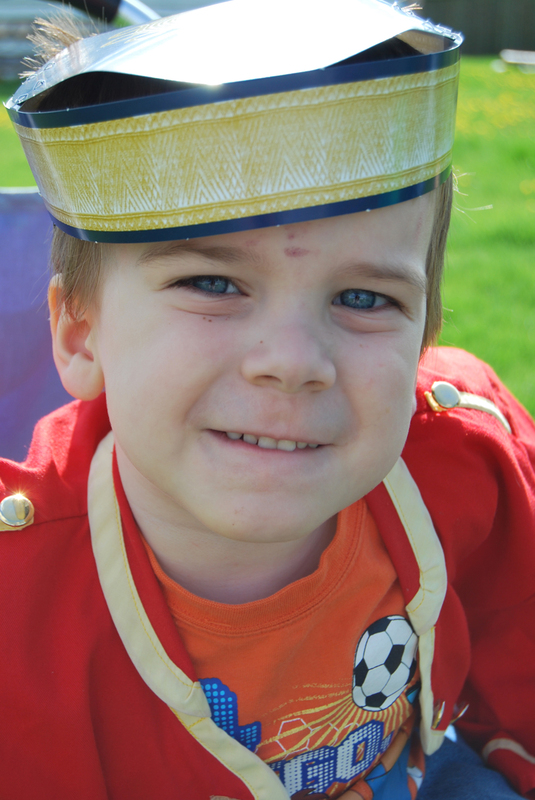 Fort Walsh is one place where all our boys come away exhausted after a long day of adventure. As you drive to Fort Walsh, you quickly begin to recognize how isolated it is. For us, driving in a 15 passenger van, we’re comfortable making our way into the park. Imagine what it must have been like for the Northwest Mounted Police as they trekked through the wilderness through bad weather, hauling all their supplies. Regularly, we are greeted by cows as they graze along the road and stare at us as they stand in our path. We definitely aren’t in the city anymore. Our kids know the site well and run straight for the museum to look at the displays. 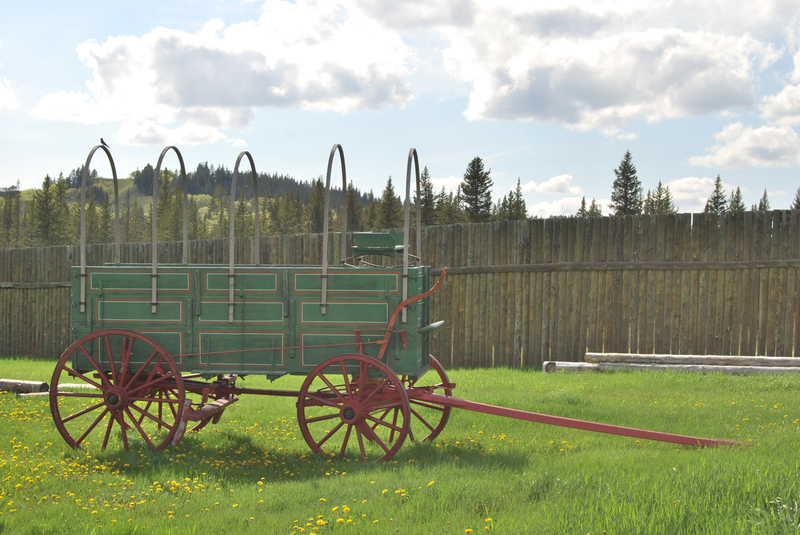 If you are into history, you can see uniforms, weapons and tools used by the NWMP and the First Nations tribes of the area. My older boys always find something new and ask questions. I quickly read the information cards and try my best to appear like an all knowing mom as I answer them. So far, they haven’t caught on to my scheme and hopefully they won’t catch on. The younger boys love looking at the pictures or touching the items that are available for handling. Before you go down to the Fort site, the museum staff plays a video on the history of the whiskey trade and the Cypress Hills massacre outlining how 23 Assiniboine people were killed by American wolf hunters. While the younger boys were too little find it that interesting, besides watching the men make “juice”, every year the older boys gain a greater understanding and have a new takeaway from the video. Next you load into the bus and are transported down to the Fort. This is when the young guys get very excited. We are on a bus! 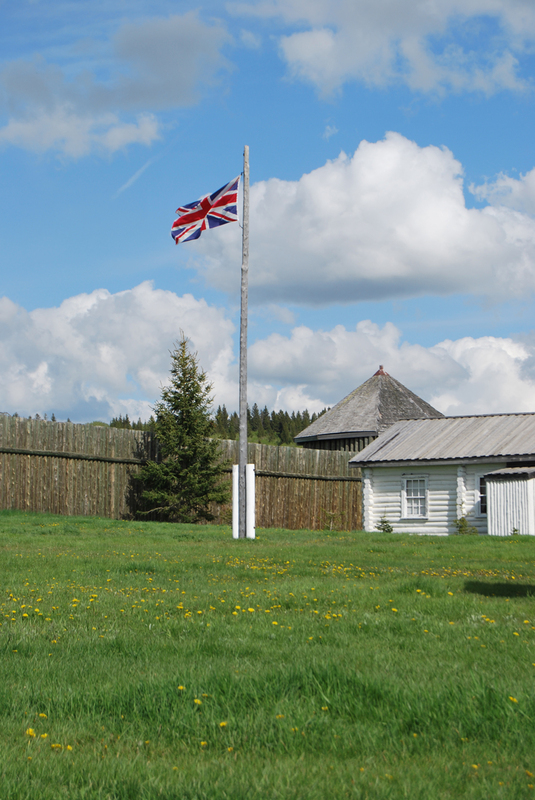 When you unload, you are greeted by the Fort hosts, dressed in authentic NWMP uniforms and civilian clothing. 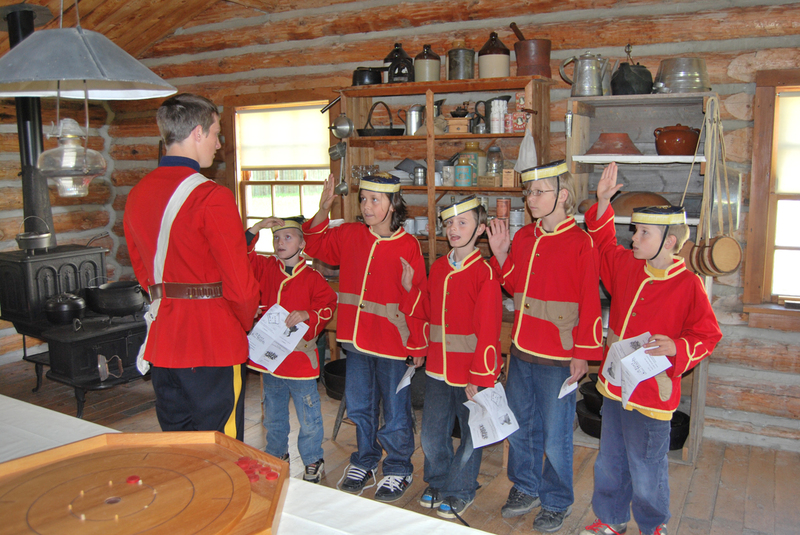 The older kids are quickly recruited to be young Mounties, are dressed in uniforms and taken away for their own kids’ tour visiting stations throughout the site with their own Mountie guide. Adults and kids too young for the program continue on their tour going through the homes, stables, seeing the canons and the jail. If you look suspicious, you may be arrested and put on trial by the new recruits! Previously, tours also included a tour by the massacre site itself, but they have discontinued that portion. We were lucky enough to at one time visit the site while it was being excavated, and saw buttons and other small trinkets that had been lost in floor boards. We also saw some of the originally burnt posts that had been uncovered. What a treat that was! Also, it has been common for horses to be grazing on the grounds and our little guys always enjoyed watching the rabbits that call the Fort their home. If you are looking for an activity for the family, young or old, give Fort Walsh a try. You’ll walk away knowing a bit more about the area’s history and you won’t be disappointed. How to GoHere: To find Fort Walsh off the Trans Canada Highway, you’ll need to go through the Town of Maple Creek, once you come to Pacific Ave at the 3-way stop, simply turn right, and go until the road ends. Make a left onto Hwy 21, and follow the Highway just past the Nursing Home (on your left) and Hospital (on your right), and make a right there at Hwy 724, past Ghostown Blues, to Hwy 271 which will (eventually) take you there. It’s a long windy highway but the scenery is beautiful. You can also follow the Google Map here. Gotta Go? : The museum aka the Visitor Reception Centre (VRC) building has nice modern bathrooms and facilities. I don’t think you’re quite so lucky when you go down to the actual Fort site. (Feel free to correct me by leaving a comment!). Good to Know: The museum building has a gift shop and small café. On hotter days, I recommend bringing bottled water with you to drink as there are no vending machines or water fountains once you are in the Fort itself. Do watch the weather reports as bad weather can cancel tours to the Fort due to the fact that the road to the site is an unpaved hill. Most buildings are wheelchair accessible. If you walk the dirt path behind the museum and past the statue, you will find an old graveyard from the old townsite’s citizens. And unless you want to be a mosquito’s lunch, I also advise you to bring along some bug spray. 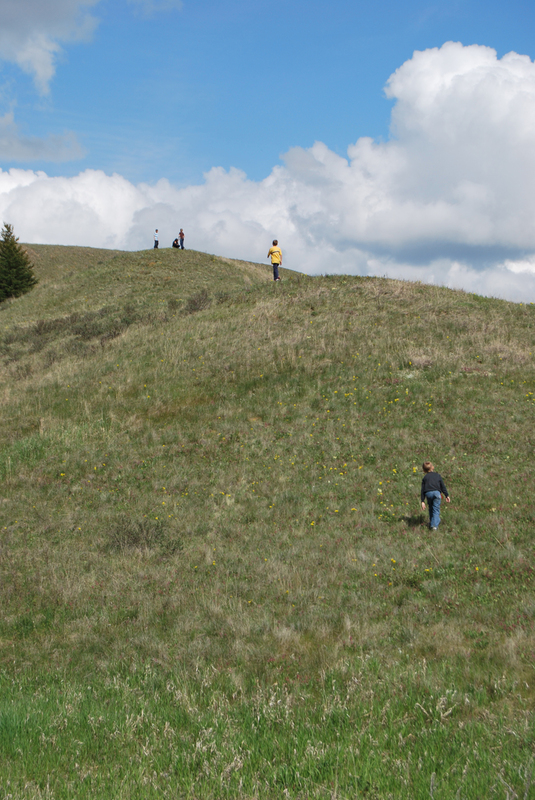 If you’re looking for more information on Fort Walsh, visit the Government of Canada website here, which has up-to-date info on the latest programs that are available for kids of all ages! All Terrain wheelchairs and baby joggers are available at the VRC to help you get through some of the rougher terrain. You may recognize the name “Mom of 6 Boys” as they are the family that had a video of their twins escaping go viral! You can see it by clicking on their YouTube Channel below! they appreciate and recognize all their hard work over the past year by giving them business gifts. Awesome article! Were those burnt posts you saw located at the site of the Cypress Hills Massacre? If so, I’m jealous; as I understand it, whisky traders Farwell and Solomon (who operated trading posts on Battle Creek right at the site of the Massacre) burnt their posts to the ground immediately after the incident. Remains of the posts would be rare relics of a very significant event in western Canadian history. Although, it would also make sense for the burnt posts to be remnants of the original Fort Walsh (I think most of the original was burnt by a prairie fire in 1889). This is a beautiful place and many visitors have come here for enjoying the natural beauty.There are many ways for knowing the information regarding the beach of the Cambodia.The responsible people should invest more for enhancing the beauty.